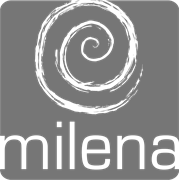 Milena MTC-35WHL - Tap not included. Tiling Flange not shown. 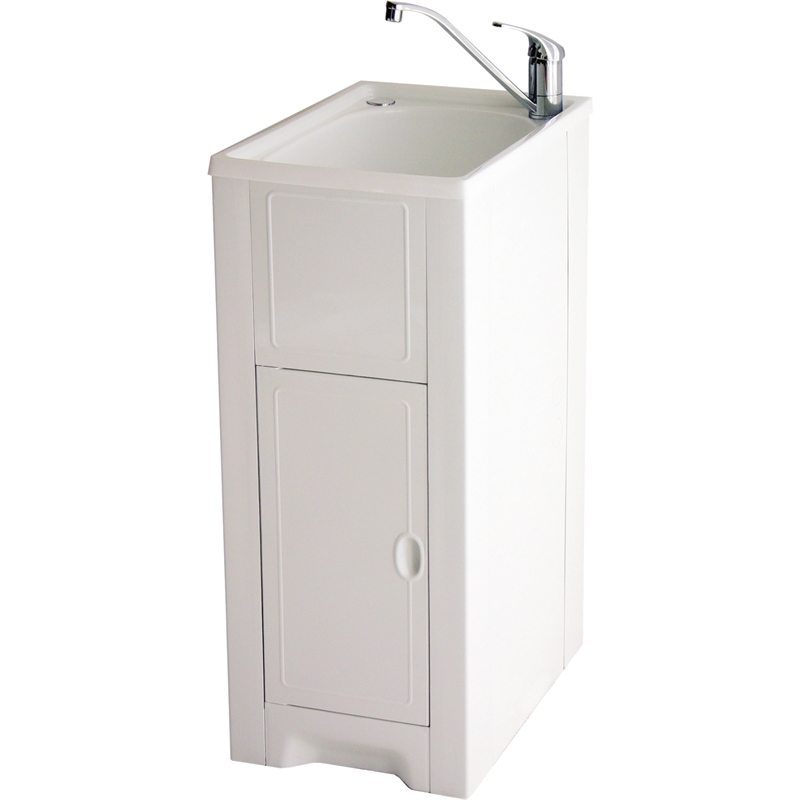 The space saving Skinny Mini will optimise your laundry space. 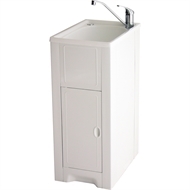 At only 370mm wide, with a very practical 35L capacity, it is the perfect size for use in homes, town houses and apartments where space saving is of importance. 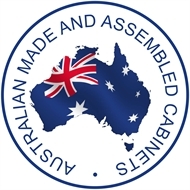 All Milena cabinets are made and assembled in Australia and will not rust or dent. The door has a door tidy (small basket for keeping essentials easily accessible). 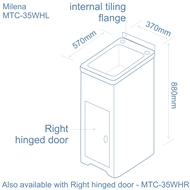 Also available with right hand door (see MTC-35WHR - 5140356) OR with Stainless Steel Trough (see MTC-35MSL - 5140288). Will never Rust or Dent. 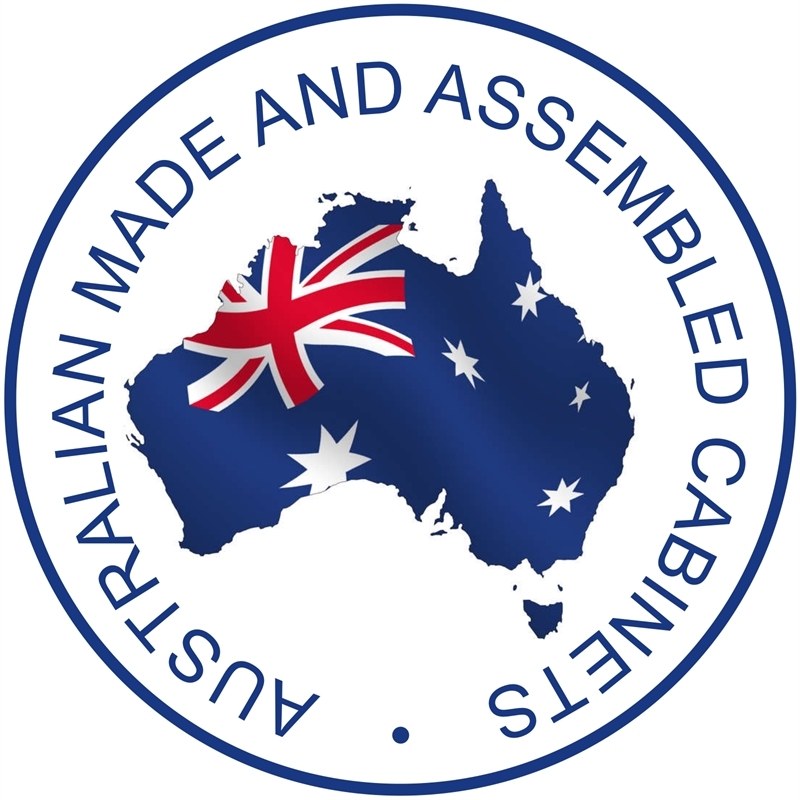 Door Tidy - small basket on inside of door.